Widing is one of the newest board members-elect for the Globally Responsible Leadership Initiative (GRLI), serving as a Partners' Representative, effective June 2017. GRLI is a major supporter of AIM2Flourish and will partner with the Fowler Center for the Fourth Global Forum next June. Robert Widing, PhD, dean and Albert J. Weatherhead III Professor of Management, is one of the newest board members-elect for the Globally Responsible Leadership Initiative (GRLI), serving as a Partners' Representative, effective June 2017. Widing will represent the GRLI’s partners – which consist of more than 50 companies, learning organizations and global organizations – on the movement’s board. They will also work closely with the Council of Partners’ Guardian Group, which operates independently from the GRLI’s board and is the guardian of the movement’s ethos and goals. “As a global movement that is focused on embedding responsibility in leadership and practice on a global scale, the GRLI functions under the guidance of two distinct groups of wise leaders,” explains John North, managing director of the GRLI. The Guardians are selected from partner organizations, while the Board of Trustees may include any leader selected from the GRLI’s global network of supporters and fellow leaders. GRLI is a major supporter of AIM2Flourish, the global learning platform founded in Weatherhead's Fowler Center for Business as an Agent of World Benefit. AIM2Flourish collects and shares stories of real-life business innovation, courageous leadership and inspiring innovations that create a better world. These stories are collected using the Appreciative Inquiry method, which originated at Weatherhead through the thought leadership of David Cooperrider, PhD. GRLI will partner with the Fowler Center for the Fourth Global Forum next June. 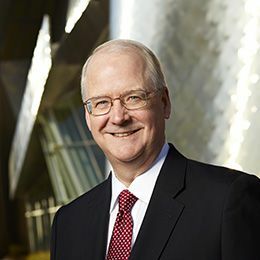 Learn more about AIM2Flourish, the Fowler Center, and how Weatherhead is committed to developing thought leaders in management.